We love taking about the weather here in the UK, it is practically a national pastime. 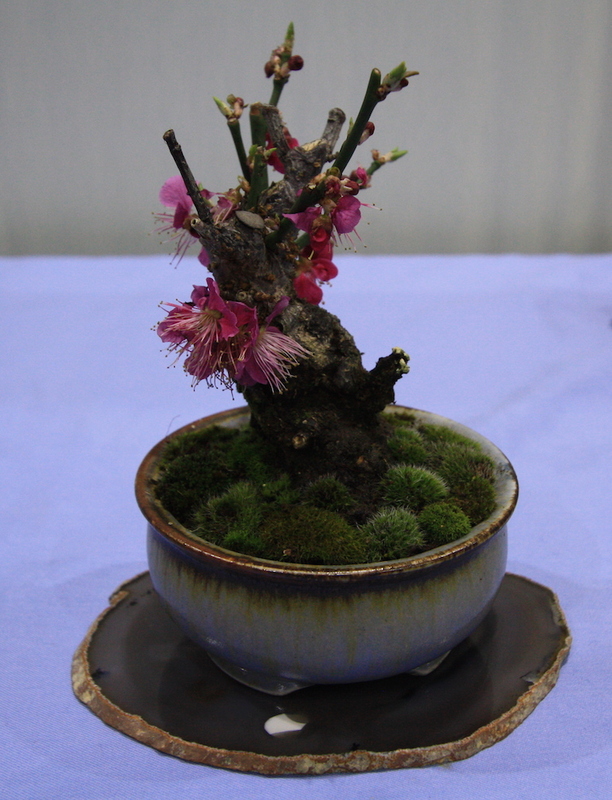 I am going to elaborate a little into bonsai, I think it is important to talk about failures, as well as successes. Hopefully we can learn from these experiences and improve. 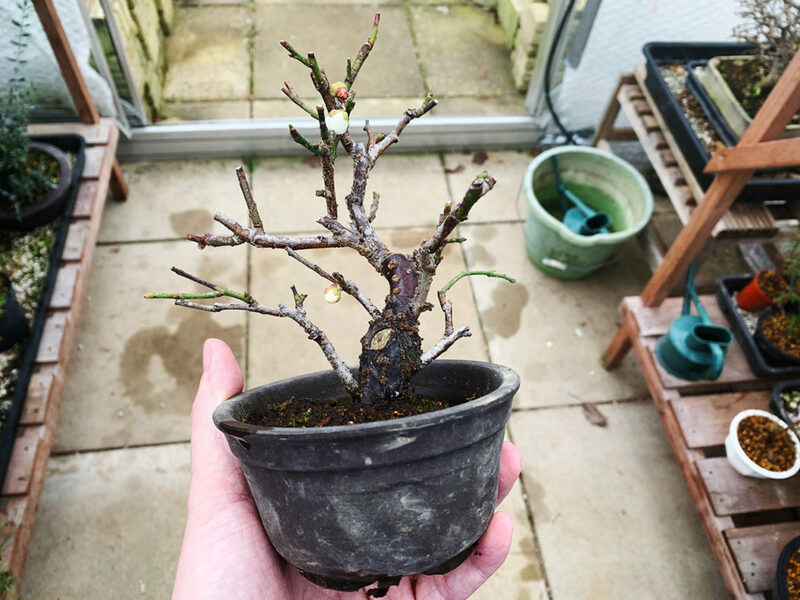 A really important part of bonsai culture is observation. But sometimes things are beyond control. 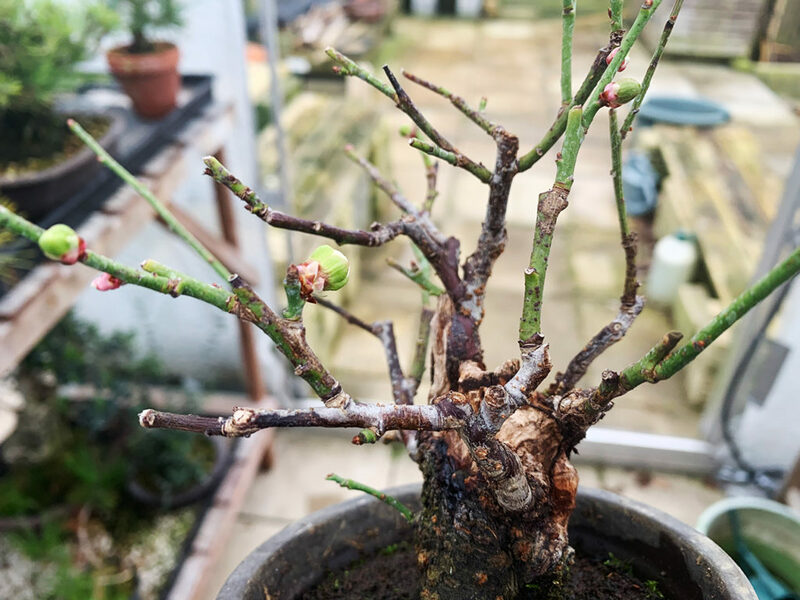 I have always had a thing for Prunus mume, Japanese Apricot or Ume. We’ve had unusually warm weather here in the UK through the summer, autumn and into winter. Discussions on global warming aside, this is the same pattern – so far – as last year. 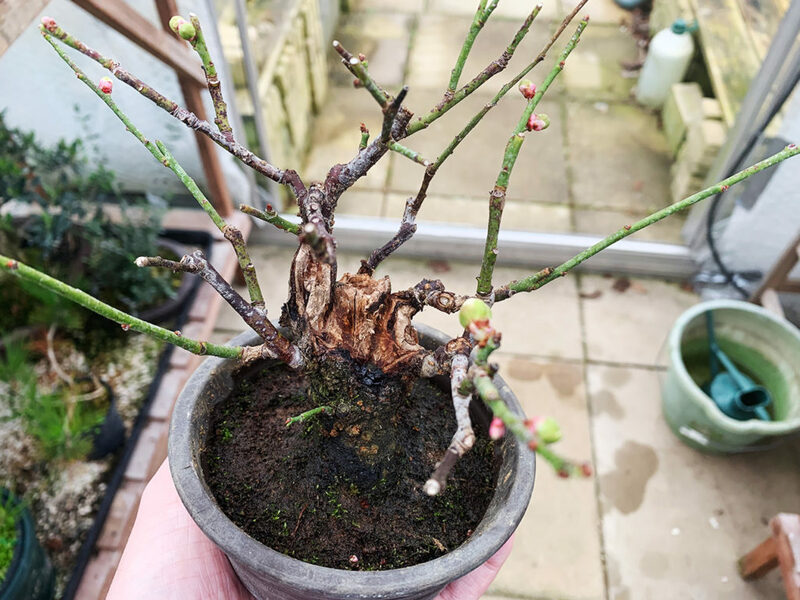 This has had an unfortunate side effect on my Prunus mume particularly. I had planned to display them at our upcoming winter show in late February. In the past, the timing has just about allowed me to do this. This has been perfect as everyone seems to appreciate the plant and the strong fragrance it provides at the time of year in strong contrast when everything else seems dormant. This hasn’t worked out so well this year. 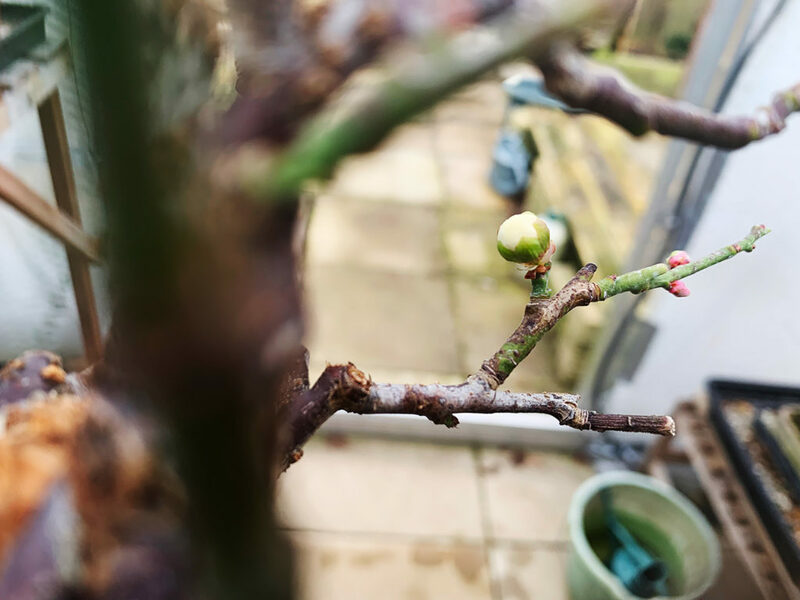 The trees are already beginning to come into flower. The first flowers are well known for being the strongest, and the best. So I thought instead of displaying them at the show, I would share them with you online instead. The forecasters are predicting much colder weather next month for us in the UK, this will be the same pattern as last year. Not sure what the solution will be going forward if this is to be a routine weather pattern. 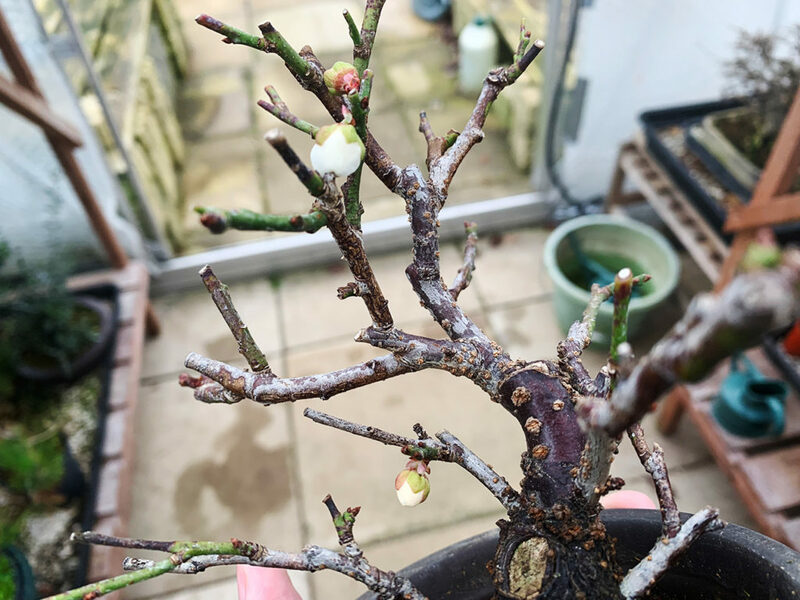 Will the trees get used to it, and flower later? I keep my Mume in the greenhouse over winter for protection. I understand it is about temperature and humidity control. Refrigerating seems drastic. I assume light levels play a part, but do not contribute as a major factor. 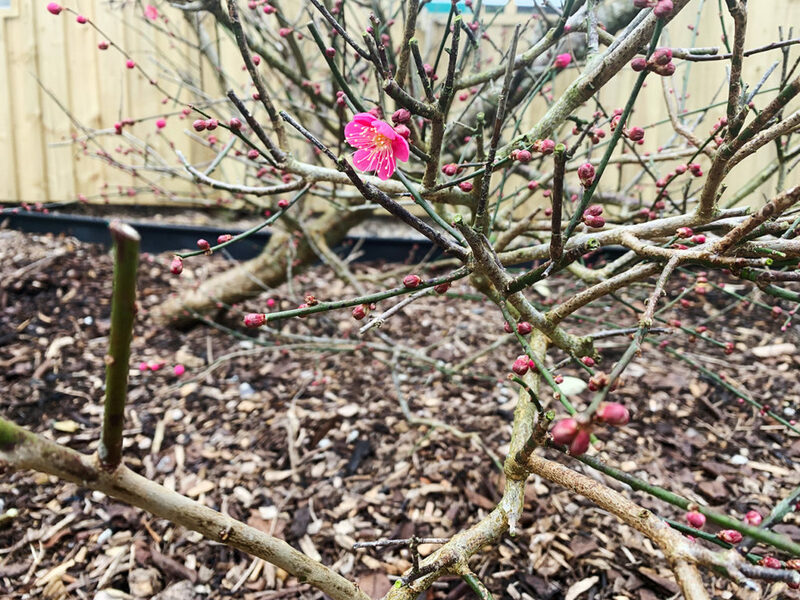 We have a much larger Mume garden tree outside which is in a more advanced stage of flowering. If I still have your attention, thought this would be an ideal opportunity to share how they enjoy them in Japan. Posted January 13, 2019 by RA & filed under Members Trees, Species.